Recycled glass bottles are the basis of many great projects, but cutting a square bottle has been a challenge for many DIY’ers. In this ‘Square Bottle Cutting with the CBC’ video Ray, the inventor of the Creator’s Bottle Cutter, demonstrates how easy it is to cut a square glass bottle. Watch the video, then scroll down for a few of our favorite project ideas and inspirations using cut square bottles. Thank you Ray for taking the time to make this informative video! 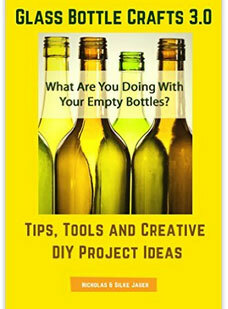 Purchase your own Creator’s Bottle Cutter on Amazon to start making cool projects of your own. 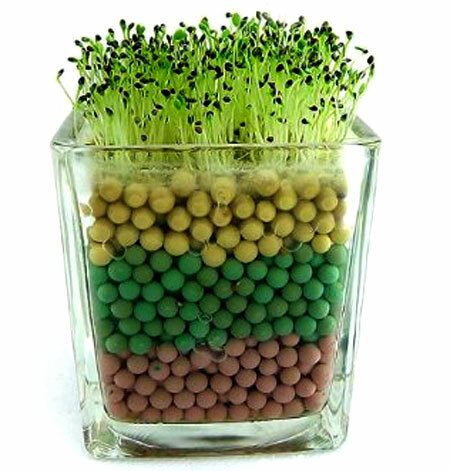 Beautify any small place in your home or office with a soil-less hydroponic plant like the one shown here. Use the base of a square bottle, fill it with growing medium and water. Then add the seeds of your choice and place in a sunny spot. Use one cut bottle for an easy to make pendant light or collect a bunch of cut square bottles for an incredibly cool looking chandelier like the one you see here. We upcycled an old chandelier with beer bottles before. 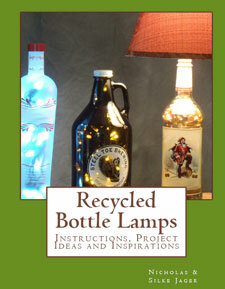 To see how we did it take a look at our beer bottle chandelier project. 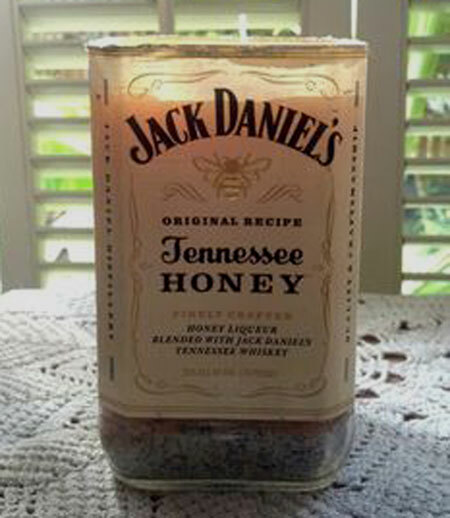 Cut square bottles, like this recycled Jack Daniel’s Tennessee Honey bottle, also make great bases for DIY candles, flower vases and pen holders. The project possibilities are virtually endless! 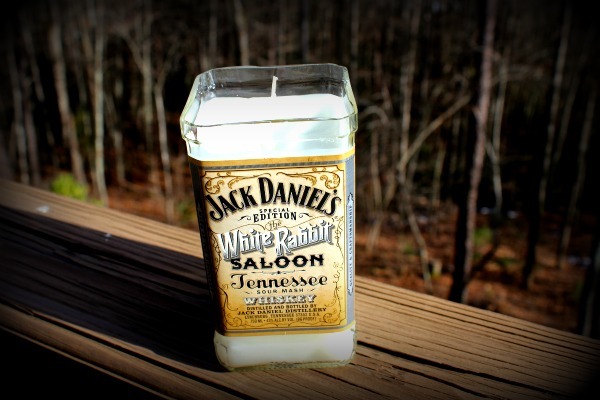 What will you make with your cut bottles? Leave us a comment below. Nick, Over all which bottle cutter would you buy and why. I am ready to buy, but have seen you demo more than one brand. I will wait your opinion before buying. The G2 Bottle Cutter – this $20.00 gem really isn’t worth anyone’s time. I got it to work once (actually caught on video!) but the aggravation it caused made this thing a nightmare. 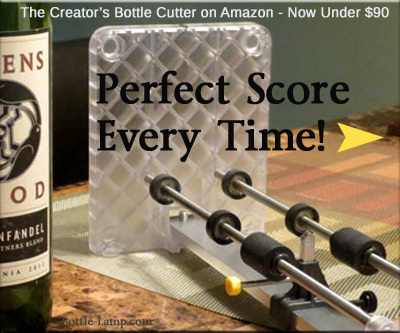 The Kinkajou Bottle Cutter – for $50.00 you will actually cut glass bottles and it’s an alright tool for round bottles. If you’re just looking for a passive hobby and will only cut a bottle now and then, this is the one I would recommend because it’s cheaper. The Creators Bottle Cutter – stepping up to just under $100 you have the ‘Rolls Royce’ of bottle cutters. This cutter can cut bottles to length consistently, cut square and round bottles, and is sturdy enough to withstand continuous use for years to come. This is still my favorite! The C&C Bottle Cutter – available for just under $50 is similar to the Creators but made of machined plywood. 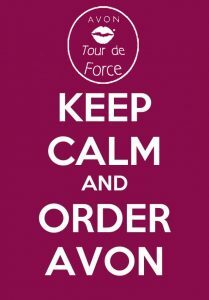 The company is located in England so with shipping & tax you’re looking at about $75 if you’re located in the US. This is a great solution for hobbyists in Europe, but it will not stand the test of time like the Creators. How much you want to spend and how often you will use the bottle cutter will play a big role in which one you should get. Hey, I just realized I forgot to come back to let you know which bottle cutter I ended up with. I bought the Creators bottle cutter and have used it probably more than a hundred times since then. It’s a great tool! Thank you for all of your help Nick and sorry for not following up sooner! That second picture with the gin bootles and colored lamps, that’s mine. You could at least link back or give credit. Many apologies. It was not my intent to misrepresent your photograph. I have replaced it with one of my own. I’m very sorry for any misgivings that this might have caused.